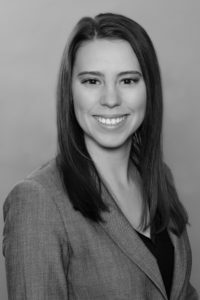 Michelle Callaghan focuses on complex patent litigation, particularly in the field of software and electronics. She primarily practices defensive patent litigation at Erise IP. Before she was a licensed attorney, her legal experience included serving as a law clerk in private practice and working as a legal assistant. Prior to her career as an attorney, she was an environmental engineer. In that role, her primary areas of focus included groundwater remediation, air emissions tracking and consulting in environmental litigation. While attending law school, she co-founded the Intellectual Property Association at the University of Colorado Law School and prosecuted patents for start-up businesses in CU Law’s Entrepreneurial Law Clinic.